Do you remember the good old days of camping in dad's or grandpa's canvas army tent? Those tents lasted for decades. Then suddenly, you couldn't find them anywhere. People were content with the cheaper nylon tent giving up the quality and rigidity to save a few dollars. The canvas tent has made quite the comeback. The quality is amazing and the reviews speak for themselves. They include a lifetime warranty giving your family a quality tent that can be used for decades. In a sense they are more than just a camping tent, but a shelter for emergencies. Hundreds of Kodiak tents were shipped to Haiti after the famous earthquake giving families refuge from the storm and comfort in a natural disaster. 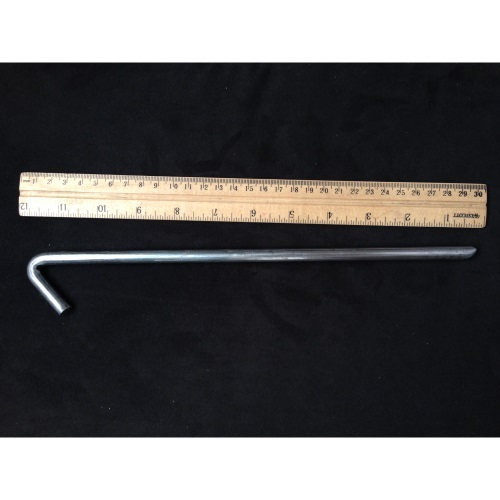 Many customers purchase these for camping, but have the peace of mind that comes with the emergency preparedness aspects. This tent has a return rate that is less than half of 1%. Each tent goes through a rigorous inspection process which involves many people inspecting the zippers, the seams, the waterproofing treatment, canvas consistency, and many more details. 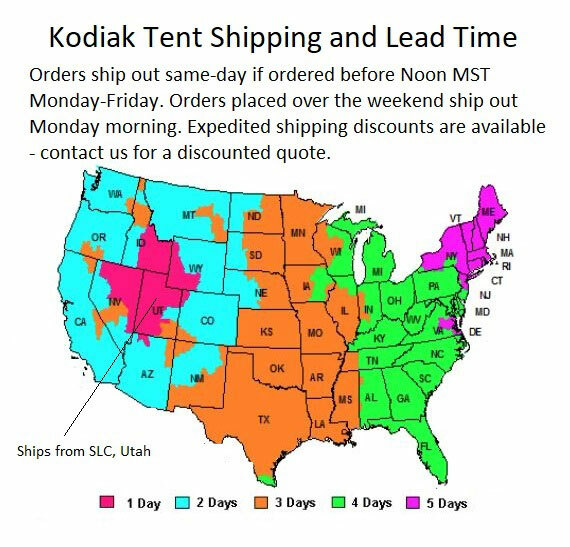 This has made Kodiak the number one canvas tent in America creating a brand you can count on and unmatched quality. These are four-season tents. In fact, if you have ever been to the burning man festival in the Western Desert you will see what appears to be a tent city filled with our tents. In fact, the burning man event inspired this newer design with windows on each side to minimize the heat. They offer shelter from the burning sun, the harsh winds, and keep out water and dust alike. In fact, the triangular-shaped side windows do much more than just improve ventilation. They improve the camping experience allowing site of the beautiful view surrounding you. Enjoy the fall leaves, the rugged mountains, or even the winter wonderland for your ice fishing trip. Bonus free ground tarp included. Are you a hunter who is gone for days or weeks at a time alone or with a group of buddies? These tents are ideal making it a great experience for you and your friends. YouTube has a plethora of videos from our hunting customers who were caught in severe snowstorms and other weather. It turned a storm into an adventure as some point out that other hunters on the mountains had to abandon camp for local motels. These tents are also stylish and good-looking; something you can be proud of showing your friends. Many hunters find us not through an internet search, but are referred by friends whose tents they have seen firsthand. Having seen one for themselves they are convinced that they are a great purchase. 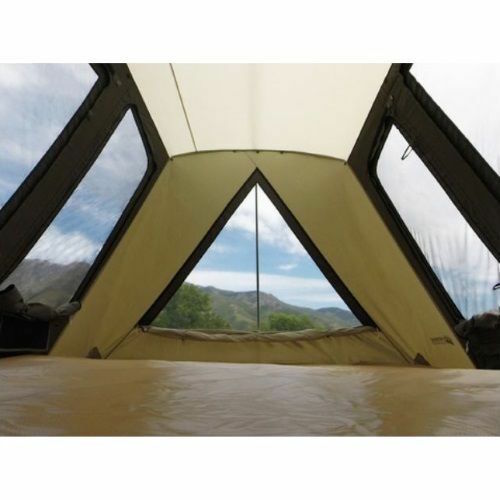 Whether you are headed to the campground with your family, or elk camp with your hunting buddies, this rugged, all-season tent is well suited for the occasion. During a down pour this canvas will not wick water into the tent if something is touching it. Easy, one-person setup takes only a few minutes. Bonus free ground tarp included. Recent customer review 8-16-16 from Dallen in Olympia, WA. Our tent arrived and we finally found someone with a lawn that we could use to put the tent up for the first time. I did it by myself to see if I could without help (I am 73 and my wife is recovering from breast cancer and broken arm/shoulder). You would have thought we just drove in with a new car - all of the oohhs and aahhs. Everybody is very impressed. My brother-in-law, whom we sold our old "new" nylon tent to, was watching all of this, and now I don't think he is very happy with his purchase We unzipped everything, and immediately it started to cool off inside, just like you said it would. It is a good thing the tent is not as heavy the the box that came or I would have had to hire a caddy to carry it for us. Inside the tent we found a surprise - two different "bags" that hang inside from roof-line of the tent for storage. I didn't know that was part of the package. THANK YOU!" To see many more reviews and customer photos, experiences, and camping stories visit our Facebook page that is dedicated to camping. Looking for coupons? Like us on Facebook for coupons and updates on new products. Click here to view our Facebook page. 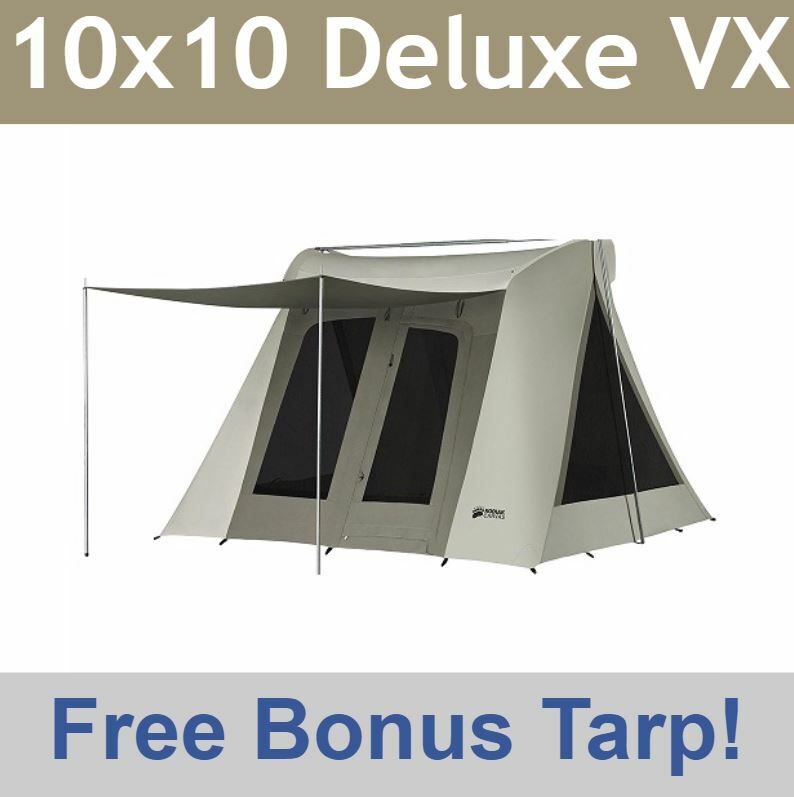 Competitive Edge Products, Inc. is an exclusive distributor of this 6011VX tent model. I have used my tent 5 nights already. Set up is a snap. It's sturdy. Everything seems to be high quality. Very happy with my purchase. Love my new tent! Was easy to set up by myself, and very pleased with high quality materials. I took this tent camping in the Florida Keys for two weeks in 2/17. It performed well, however do not attempt to put this tent up if it is Wet. Will not stretch. It must be dry. Tent did not leak in a heavy down pour, and did well in gale force winds after the rain. Remember, it only goes up DRY. The day my 10x10 Flexbow came in the mail I couldn't wait to set out up. Although I had never set one of these tents up before I had watched plenty of videos. After unboxing I started setting it up. To my surprise I was done in 10 minutes. Great product. Dont buy this tent unless you expect the highest quality. 40mph winds, whitecaps and side blowing rain at Shiloh Civil War Reinactment on the Tennessee River. I'm 75 and have spent many tent nights. Best tent I've EVER seen. This is truly an excellent tent! On my first camping trip with the new tent, the wind blew approximately 25 knots and the rain poured. The walls flexed and bowed in the strong wind due to the flex-bow system, which I believe saved the fabric from tearing. Inside the tent stayed completely dry! Q: I went camping for the first time this past weekend and of course it rained. The rain lasted about 6 hrs through the night. In the morning the walls and ceiling were wet on the inside. Bedding that was making contact with the walls was wet as well as a few drops on the floor. I seasoned the tent according to the instructions 2 weeks prior to camping. Is my tent defective? A: Yes, please contact us to file a warranty claim. That is not normal. Q: Left it packed away wet too long. Got mildew on it, mainly the roof. What's the best way to clean and re treat the tent? Thanks! A: White vinegar in a spray bottle to kill mold. OxiClean in a bucket of water with a scrub brush, inside and out. Hose off. A: Some people use sandbags yes. Some people also build a frame from PVC or wood, but sandbags seem to be the easiest solution. Q: If you have to pack this tent up wet. How long have you got before mildew sets in? A: It's very difficult to say. If you are going across the country and its warm weather cooking in the trunk that can be an issue. If it's just overnight you should not have an issue. Q: I spent the first three nights in this tent in heavy woods and thunderstorms. The trees left some stains on the top. What do I use to remove them? A: There's not much you can do for that. I noticed on my tent that once it dries any dark spots seemed to lighten up significantly. I have also set up in my yard and sprayed it down with water-not a pressure washer-but a high-pressure nozzle on my garden hose and that does wonders. Q: can one person assemble this tent on their own? A: Yes, one adult can assemble this in just a few minutes. Q: do I get a free tarp with this at the sale price? A: this includes one tarp at the sale price. A: The upright poles support the majority of the weight of the tent. The first time you set the tent up putting the first upright pole in it shouldn't be that difficult. However, putting the second pole up is more difficult and it can be useful to have somebody lifting on the pole and somebody lifting on the roof. You should not have to do that though other than the first time setting it up. Sometimes the canvas is tight and that's normal. Once you assemble the tent everything will stretch a little bit, but will still be very taught. Each subsequent time setting the upright poles up should be much easier. The models are shipping now have a newly designed receiving end that used to be called a d-ring. Now it's a self resting pin that does not require you to line it up with your fingers. I hope that makes sense. If it does not please feel free to reach out to us. A: Our family has had the 10 x 10 for about five or six years. As our family grew we now have the 10 x 14. We have never run into any issues in any state parks in Utah, Idaho, or Wyoming. Every time we have booked a campsite they have had a campground that accommodates both sizes. Q: I have 3 deluxe tents. 2 of the 3 leak in the corner seams when it rains and both leak in the zipper. What can be done to solve the problem? Extremely disappointed, but hopeful you can solve this problem. A: I'm not seeing an order for you in our system. Sometimes, we get competitors who leave us questions in an effort to diminish the Kodiak brand name. If you are having any issues with leaking it would be covered under warranty and you would need to contact 801-726-0243 for assistance. They may require photographs and a proof of purchase. Q: What is the return policy on this item if I am not happy with it (before I use it in the wilderness) or change my mind? A: This product has a 30-day returns: Simply hang on to the original packaging and contact us within 30 days of receipt if you are not satisfied with this product. Please contact us before purchasing if you are unsure whether this product is right for you by calling us toll free at 866-308-5484 or via email at websales@competitiveedgeproducts.com we do not accept used returned items (items must be in original packaging). If something is damaged or defective please contact us. Q: I understand the VX models with triangle windows probably has improved ventilation and cooling capability. You still offer the deluxe tent without the extra windows. When would the Deluxe without extra windows be a better pick other than the $20 savings? A: Yes, the deluxe model is available without the triangle windows on the sides. It does include the airflow vents at the top which the VX model does not have or need. A: The Deluxe tent is certainly the better pick. Normally there is a much higher price difference, (usually about $50 or so between the deluxe and the super deluxe.) The Super Deluxe is having a special sale right now, though the price will probably go back up soon. A: Windows provide FAR better ventilation and when closed, provide the SAME protection from heat loss as the model without windows. Both models are strong and stand up to high winds and snow; I've spent approximately 20 total nights in these tents and I'm saving money to buy my own. I'm tired of tents that rip apart after a single season. A: I'd like to know the answer to the question too. Under what conditions or circumstances would the Deluxe model be a better choice than the VX model? Also would there be any noticeable loss of hot or cold air from the large triangle windows of the VX model? 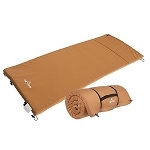 Q: I see in a few reviews that this tent is very difficult to set up wet. I understand the need to dry out the tent before storage. My concern is when moving camp multiple times on one trip. What if break camp in the rain and move to a new camp in the rain on the same day? We live in the PNW, so this is a common occurrence. Thanks. A: I own the larger size 10' x 14' and I have broken and set up camp with the tent soaking wet. The tensor waterproof and most of the water rolls off the tent like water on the ducks back so there's nothing to absorb. I've never had any issues with it being unusually heavy or difficult to set up. A: Partially unzip the windows before putting this tent away so it will be easier to erect next time. The windows are airtight and the vacuum can make it difficult to raise otherwise. Q: Left my bag of tent poles on the ground in Mexico! I would like to order replacements? Q: When does your winter sale end? A: We do not have a set end date for the sale, it will probably be on sale for a while. 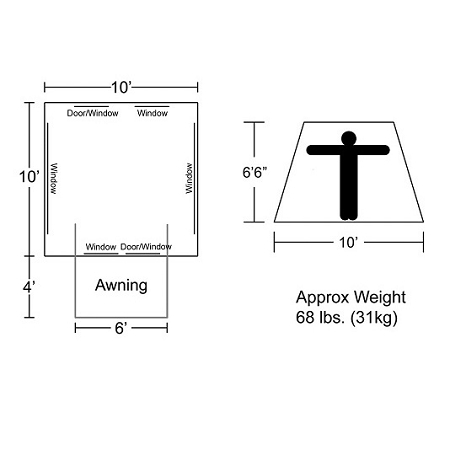 Q: Dimensions of just the tent when rolled into its carrying sack.? A: The Tent without the poles is approximately 30” x 13” in Diameter. 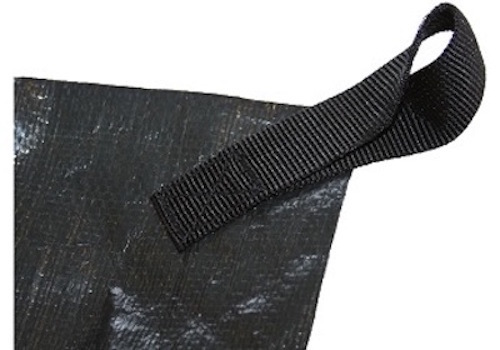 The Separate Pole Bag is 50” x 5.5” in Diameter. Q: What are your return policies? Wondering in case the tent isn't as roomy as we think. Thanks. A: Can you get a kit to put a wood stove in it? A: If the tent is unopened and unused there is no restocking fee, but you would be responsible for the freight to and from. Q: What is maximum wind speed tent will handle? A: There is no official published wind rating. We have tested it up 40 mile-per-hour wind gusts and it works just fine. Q: This tent on special today, is the entire tent, not just the replacement tent body? 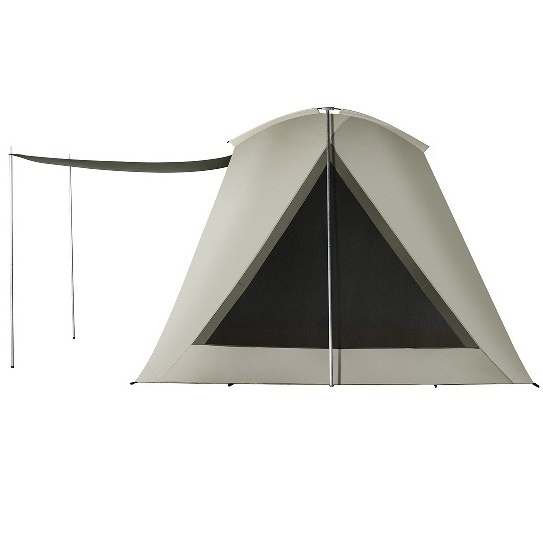 A: This is a complete unit including the tent body, poles, stakes, and everything. Q: What is the weight of this tent? A: I would recommend a 10 x 10. I like the 9 x 8, but it isn't quite as high. If you are around 5'10" or taller your head might touch the ceiling. Q: How much does the tent alone weigh? A: I asked Kodiak Canvas . Tent 36 lbs, poles 22 lbs, stakes etc. +. 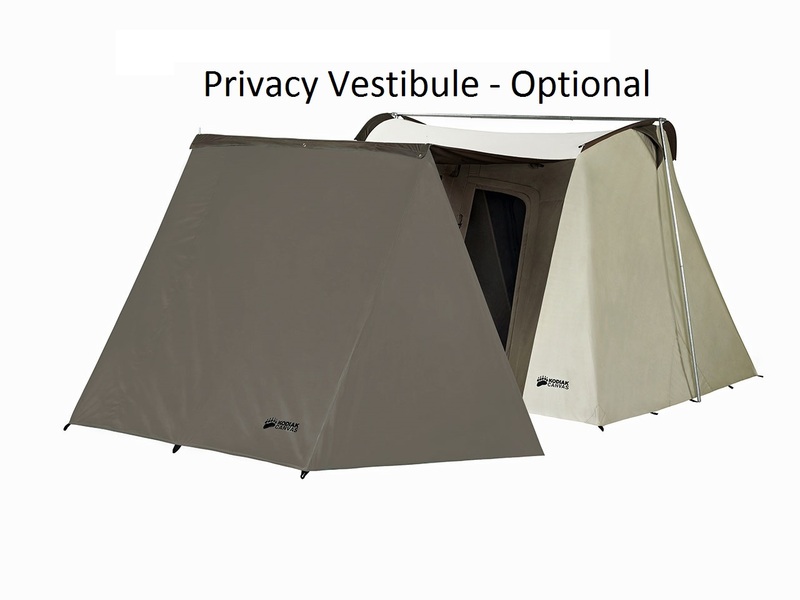 Q: Is the "privacy vestibule" option the same as the $79 wing vestibule for sale elsewhere on your site? A: Yes, it is one in the same. Q: What is the weight of the tent? A: This tent weighs 78 pounds including the box and packaging. Q: Hi, I want to know do you ship to Taiwan? if you do, how much will it cost for the shipping payment? thank you very much. A: Unfortunately, we don't ship these to Taiwan, but you can always ship them to a freight forwarder and have it shipped to you. Q: What is the difference between this model 6011 and the 10 x 14 version 6041? Is it just the size being the only difference? A: Yes, the difference is only the size. They have always seen bells and whistles, windows, storage bags, gear loft, etc. This size 10' x 10' is the most common size for the tent. The 10' x 14' is an extra large size that is less common. A: This is an eight person tent-you can fit eight people in their. I have a family of eight (six children) and we fit in there perfectly. Large adults using cots-it may be closer to six. Signing for the Package: Signature is required on these large ticket items for your protection.Â Once shipped the package cannot be rerouted or held at a local FedEx location - no exceptions.Â Before ordering please make sure you ship it to a location where you can personally sign for it. 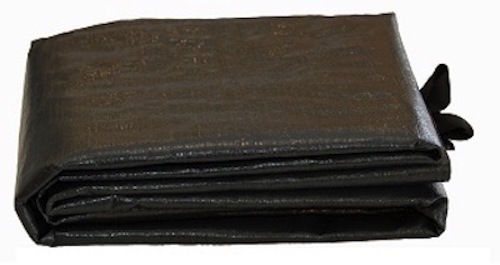 This product has a 30-day returns: Simply hang on to the original packaging and contact us within 30 days of receipt if you are not satisfied with this product. Please contact us before purchasing if you are unsure whether this product is right for you by calling us toll free at 866-308-5484 or via email at websales@competitiveedgeproducts.com we do not accept used returned items (items must be in original packaging). If something is damaged or defective please contact us. Dimensions: 49" x 11" x 12"